Trust the professional plumbers at Rich's Plumbing, Heating & Air Conditioning! Rich's Plumbing, Heating, & Air Conditioning is a family owned and operated company that has been serving the Elizabeth NJ area for over 25 years. 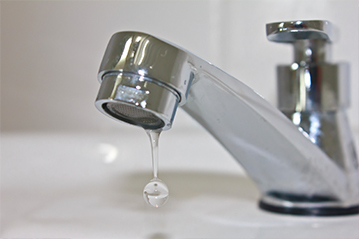 We strive to provide 60-minute response times for all emergency plumbing related issues. 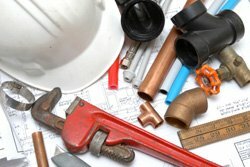 Whether it's your heating or cooling, water heater, or your home needs new pipes installed, we provide a full array of plumbing services to fit your needs. Not only are we New Jersey's quickest responders, but we provide the best prices on the leading brand name products such as Goodman and Carrier, give our licensed technicians a call -- we're available 24/7! Rich's Plumbing Heating, & Air Conditioning offers a wide range of plumbing services that vary from repairs to simple cleaning. Our plumbing technicians provide free and accurate estimates with no hidden fees or up-charges, and we refuse to perform any work without your approval. Rich's Plumbing, Heating, & Air Conditioning specializes in providing routine maintenance and emergency repairs for all makes and models of water heaters. Additionally, we provide complete installation and replacement services of the leading name brand makes and models of water heaters, all with expert craftsmanship, comprehensive warranties, and affordable prices. We can recommend the ideal system for your home and lifestyle, including tank-less water heaters, traditional water heaters, high-efficiency water heaters, gas water heaters, and hot water re-circulation systems. Our industry leading knowledge of the industry allows us to identify the best equipment for your home, budget, and lifestyle. We install only the leading and high quality brand name products that provide the longest lifespans. By choosing us for your plumbing services, you're guaranteed to save time, money, and hassles in the long run. Give us a call at 888-656-5149, we'll answer anytime, any day! I couldn't get the cold water working. They came right away and were neat and very professional. The serviceman explained everything to me. Highly recommended and will definitely call them again.